In March 2012, I headed to Malaysia for one of my F1 holidays. I visited KL and became a bit of a mallrat. 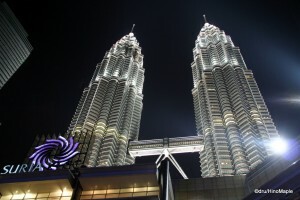 I wrote about my experiences in the Kuala Lumpur for Dru’s Misadventures and recently I was asked to write about the shopping in mega malls in Kuala Lumpur by Travel Wire Asia. I wrote specifically about the different malls I visited such as Pavilion, Lot 10, and Suria. Unfortunately, it was translated into Japanese, so for most of you, it will be difficult to read, but there are new pictures to enjoy. Please venture on over there anyways and check it out! This entry was posted in Hybrid News and tagged Kuala Lumpur, Lot 10, Malaysia, Pavilion, shopping, Suria, Tourism Malaysia, Travel Wire Asia by Dru. Bookmark the permalink.